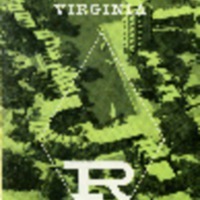 An illustrated pamphlet describing the location, amenities, and physical characteristics of Reston, Virginia. Describes recreational amenities, architecture, schools, community centers, churches, shopping, and other highlights. 12 pages. unknown, “A guide to Reston Virginia: Washington's new neighbor,” Reston@50, accessed April 18, 2019, http://reston50.gmu.edu/items/show/48.